Extending car battery life is easier than one thinks. Every battery has a limited lifespan but most batteries die before time due to neglect on the part of the owners. Consider this scenario: It’s the morning rush hour. You are ready to leave for office. You start the car but it won’t buzz. The car battery charging has died down and you realize it was not so long ago when the battery was serviced. This wouldn’t be the case if you had been cautious about extending the battery life of your car. A little care on the part of the owner can extend the battery life and can take these small worries off your head. Easy tips and tricks to extend the lifespan of car battery mentioned in this article will help you in proper car battery maintenance and also in extending its life considerably. But before that let us take a look at the causes for battery drainage before time. 1. Accidentally leaving the lights or any other accessory on, puts pressure on the battery by pulling power from the battery even while the ignition is off. It is one of the major reasons for quick draining of car’s battery. 2. It is also possible that the battery is not being recharged when you are driving the vehicle. There might be some charging problem with the battery. 3. Then there is the key off parasitic drain because a particular module is not shutting down, or the relay is sticking or there is a shorted diode in the alternator. 4. The battery might have completed its lifespan and would therefore not be holding the charge anymore. This means that the time for replacement of the battery has come. 1. Regular inspection: It won’t take more than a minute to check the battery terminal and inspect it regularly for things like corrosion and water. It is enough to do so once in a month so that anything abnormal can come into notice soon and amendments can be made. The battery top should be kept free of dirt and grime. The terminals should be tight and free of corrosion. A wire brush should be used to clean the battery. It must be ensured that there is nothing between the connectors and the terminals that may interrupt the power supply. This is the first step to enhance the car battery life. 2. Check water level: Most car batteries indicate the water level and it is necessary to keep having a look at the water level. Distilled water should be put into the battery if the indicator depicts a low water level. The water must cover the fluid plates. Any overfilling and spillage should be mopped. During hot summer months, the water level needs to be checked frequently. 3. Check for vibrations: Batteries that vibrate or shake when the car moves can become damaged or can cause a short circuit. It can cause damage to the battery plates and could even damage the engine. It is therefore very essential to keep the batteries secure from vibrations by ensuring that it is held down with proper brackets and clamps. 4. Car Battery Insulation Kit: A car battery insulation kit protects the battery of the car from temperature changes and is an important part of car battery maintenance. This kit is normally present in new cars. Replacements can also be considered to make to fit the battery compartment of the car. The sleeves of such a compartment are made up of plastic or acid resistant/thermal resistant material that insulates the battery while at the same time allowing it to vent. 5. Car Battery charger: It would also be wise on the part of the owner to invest in a car battery charger that helps in maintaining an optimum car battery charging level even when the car is not in use for short or long periods of time. It is also a wise thing to disconnect the connector from the negative terminal of the car battery if the car is not going to be used for a long period. •	State-of-the-art computerized battery test. •	Removal of corrosion from the battery cable terminals. •	Professional replacement of a new battery, if necessary. •	Proper disposal of existing battery. 7. Vehicle Accessories: Charging the phone, leaving the lights on, playing the car stereo when the car is stationary can be detrimental to car battery life. Also, switching on the accessories before starting the engine tends to drain the battery even quicker. 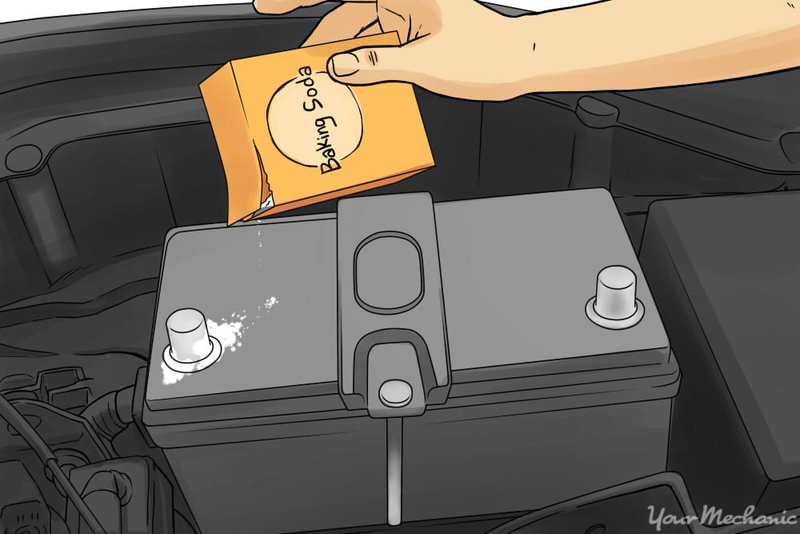 •	Pouring into the car battery a mixture of Epsom salt and warm water. •	Using baking soda mixed in water to eliminate corrosive build-up. •	Applying petroleum jelly especially in winters to prevent corrosion and keep the battery in optimum health all winter long. •	Poring soda over battery terminals to reduce corrosion. If the vehicle fails to start, the engine should not be cranked continuously as it may damage the starter, the battery or any other electronic components and expert help should be taken. Hope that these easy tricks enhance your car battery life and ensure that nothing stops you from having a fulfilling driving experience!